- Fognini leads the head-to-head 7-0, but that isn't the key reasoning behind this play. - Bedene reached the final in Buenos Aires last week, but he's struggled despite winning his two matches in Rio. 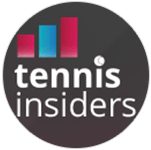 - Bedene is now overvalued after a successful run on the dirt, but fatigue could be present and he faces a player he's never beaten, losing 7 consecutive meetings, 6 of those on clay.